Why volunteer abroad in Tanzania 2018/2019? is a question that you will definitely be asking your self at this point. 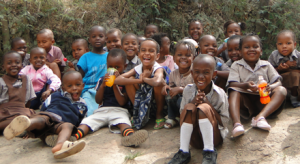 With thousands other volunteering destination in the world, why zoom down to Tanzania? Today i am going to take you though some of the factors that will answer your question. Our volunteer abroad in Tanzania program has recently attracted a lot of volunteers from all over the world. This is main factor that we think you should also be part of our amazing volunteer abroad in Tanzania 2018/2019 program. Asking our volunteers as to why they have decided to commit to this volunteer abroad in Tanzania program, these are the factors they gave us. The location makes this volunteer abroad in Tanzania 2018/2019 program something not to miss. Tanzania is located in the East Southern part of Africa. Tanzania is bordering several other East Africa countries to its western, southern and northern sides. These countries include Uganda, Kenya, Rwanda, DRC, Burundi, Malawi, Zambia and Mozambique. Tanzania is boarded by the Indian Ocean to its eastern side, giving Tanzania some of the most beautiful beaches in Africa. Volunteer abroad in Tanzania 2018/2019 program is taking place in Tanzania’s economic capital of Dar-Es-Salaam. Dar-es-salaam is a popular east African city. Located on the shores of the India ocean and just a few Kilometers form Zanzibar Island, Dar-es-salaam geographical location is ideal for volunteering. Dar-es-salaam is located not very far from the equator hence its weather is constantly moderate through the year making our volunteer abroad in Tanzania 2018/2019 program much more ideal. Our KIVOLEX projects for volunteer abroad in Tanzania 2018/2019 program are the same like in other years. As usual volunteers have four projects to choose from. These projects include the following. Volunteer abroad in Tanzania 2018/2019 teaching program is on the popular Volunteer projects in Tanzania. Our volunteers are placed in primary schools and secondary schools in the out stakes of Dar-es-salaam. We also place volunteers in orphanage schools. Most Schools in Tanzania are are without proper teaching equipment, they lack qualified teachers and have few classrooms and desks. Your involvement in this volunteer abroad in Tanzania program will help share your skills to improve the quality of education provided to these schools. Volunteer abroad health care or medical project in Tanzania is another awesome opportunity KIVOLEX offers to Volunteers. This project is another opportunity to healthcare professionals, students and even those who only want or observe the health procedures to experience and help the health system in Tanzania. We place volunteers into health center and maternity hospitals around Dar-es-salaam city. Orphanage volunteer abroad in Tanzania 2018/2019 program is yet another opportunity to help through orphans in Tanzania. Our program places volunteers into orphanages or children homes. Volunteer help the well being of the orphanage and the children. Volunteers would assist in conducting classes, cleaning the children, feed them and any other activity that would require their skills and expertise. Special need volunteer abroad in Tanzania 2018/2019 program is considered as the most rewarding and down to earth project. Our special need programs places volunteers into special need schools that accepts children is mental retardation. Helping these children how to eat, how walk and how to speaks is something that helps you leave a mark in the world. It is marking a great difference into a life a very need individual that is why most volunteer consider this project very rewarding. Unlike other volunteer abroad opportunities where emphasis is kept on volunteers to be skillful and to be fluent in specific language. Our Program puts less emphasis on skills, we believe everyone has the right to volunteer. Lack of specific skills should hinder people fro giving back. No matter how unskillful you are we will somehow find you something to do as a way of giving back. Our program also only requires basic knowledge of English language, English doesn’t have to be your mother tongue for you be considered in our program. This is another reason that our Volunteer abroad in Tanzania 2018/2019 has skyrocket in the number of Volunteers it receive. Most people would like to to kill two birds using one stone. Meaning most volunteers are most likely to go for voluntarism where by apart form giving back they would also get an opportunity to do some tourism. Hence choosing a destination with a lot of tourist attraction for your volunteer program is paramount. Most volunteer have been choosing Tanzania and specifically our program because of what Tanzania has to offer in term of tourist attractions. The Great Mt Kilimanjaro, The Serengeti, The Ngorongoro Crater, Zanzibar Island to name a few attraction that see millions of tourist every year. Unlike other volunteer abroad organisation based in western countries and remotely control programs who charge large sum of administration fee usually hidden admin fee, you will only get to know about it when you sign for the program. Things are different at KIVOLEX, we are a local organisation based in Tanzania, we live the programs we are recruiting volunteers for. We don’t charge anything in excess, we only charge for your living expenses and you project donation. Hence are are price are always affordable so as every person can volunteer.